"Doku Ji Gyo Sei Ki" - Spiritual Development of Individuality in Mind and Body. I come to you with empty hands. my weapons, my empty hands. Karate means different things to different people. For many younger people it is primarily a way to learn self-defense and to test oneself against others in controlled physical and mental combat. To others, particularly older students, it becomes a way of challenging oneself, of staying fit physically and mentally, and a source of strength, self-confidence and focus that is useful in all aspects of life. Karate, if practiced correctly, allows us to look within and improve ourselves as we force ourselves to work harder, endure longer, and face and overcome challenges we would normally avoid. 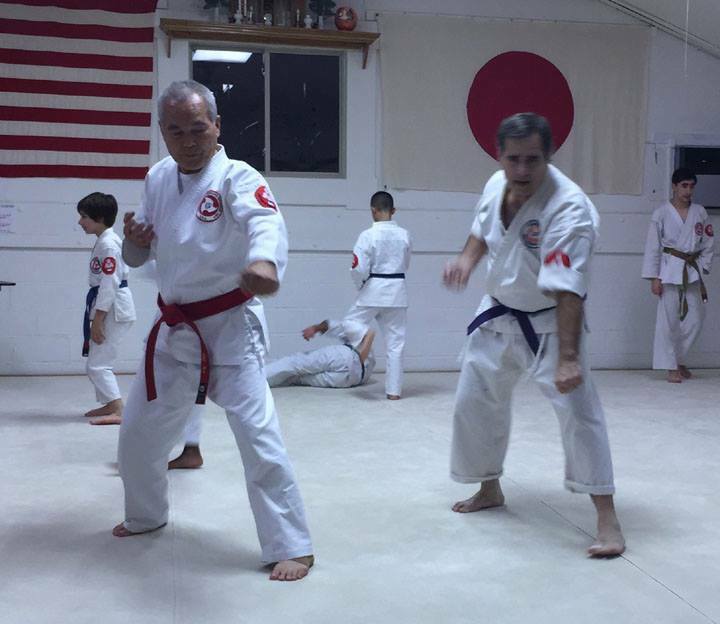 The Japan Karate and Judo Center offers TRADITIONAL KARATE, Self-Defense, Judo and Weapons training to men and women of all ages and children as young as 5 years old in a family-oriented environment. Lowest Monthly Rates in the area. Instructors with 100+ years of combined teaching experience.